Looking to take advantage of the last few weeks of summer? 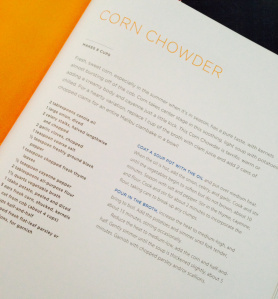 Try my favorite summer corn chowder recipe inspired by LA’s infamous Lemonade restaurant! What vegetable is more perfect in the summertime than corn?! Growing up in Indiana, I’ve been eating corn on the cob during the summer for as long as I can remember. This recipe puts a fun twist on that concept in a seasonal, hearty, yet healthy soup. 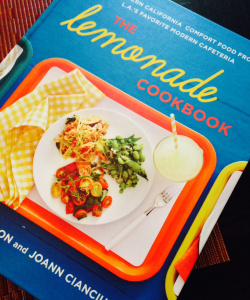 The recipe comes from the Lemonade cookbook (Los Angeles restaurant featuring Southern California comfort food), with my own special twist. It’s easy to do and makes for great leftovers!